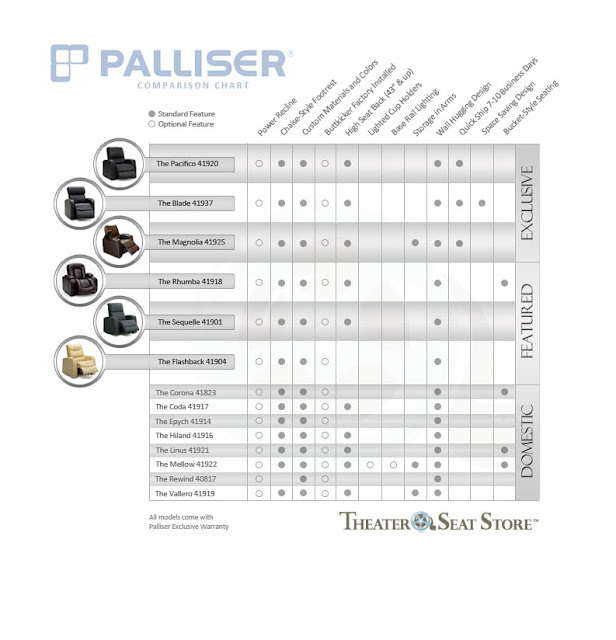 Palliser is one of the dominant theater seating brands in North America. Their products are known for quality and attention to detail and can be seen across the country in most leading home theater stores like Magnolia. Here is a model comparison chart for Palliser similar to the one that was produced last month for Berkline which received a very positive response. This chart will help simplify the differences that define models within the brand.